I’ve discovered a series of books themed on “Gifts in a Jar”. The concept is to put an entire meal in a jar. In most cases you just add water and maybe a few other ingredients and instant meal. Well I have been saving jars for reuse and decided to try my hand at making my own stuff in a jar. The first recipe I wanted to try was a small batch of cookies and most recipes call for an egg. 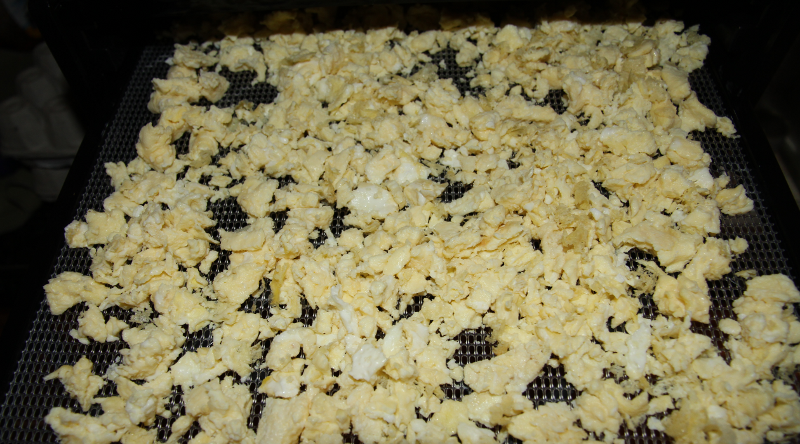 Instead of needing to add an egg I thought I’d try dehydrating eggs first. I started with 5 dozen eggs. One dozen at a time I scrambled them. Next I put them on a tray to cool a bit while I worked on the next dozen. I loaded them in my dehydrator and ran at 145 for 12 hours. When finished the chunks were hard like rocks. 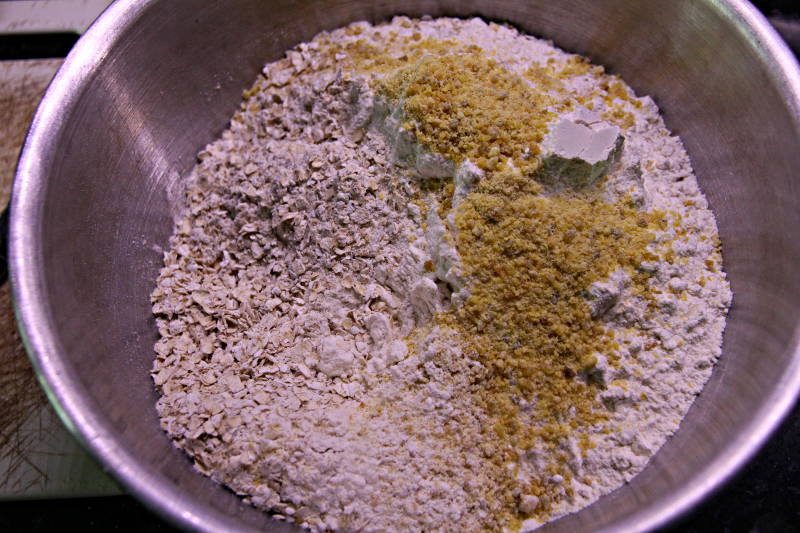 I ran them through a food processor until they were ground into mostly powder. 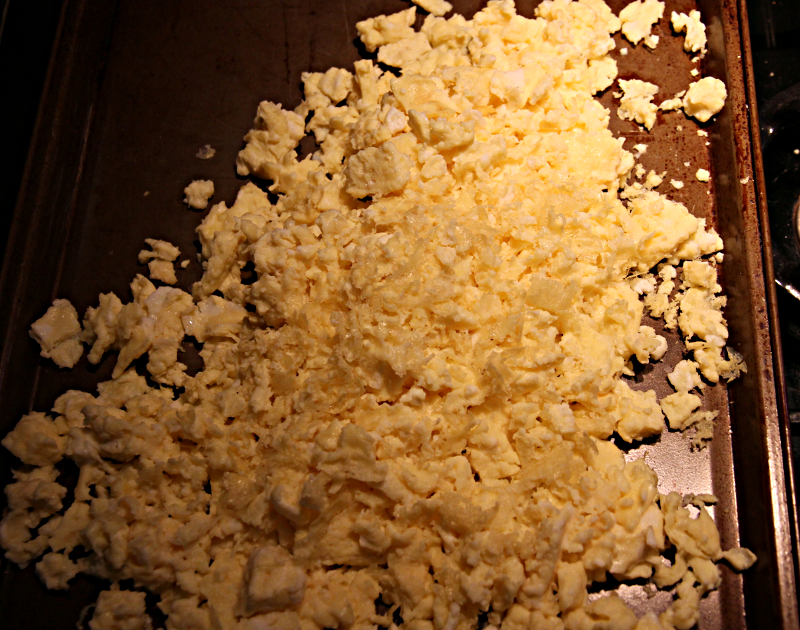 At this point I had powdered eggs which measure out to about 2 teaspoons per original egg. Next up, pick a recipe. I researched a few options an finally settled on one which I then adjusted and tweaked until I was satisfied with it. I made a large bowl full which I then would be able to put into the jars. 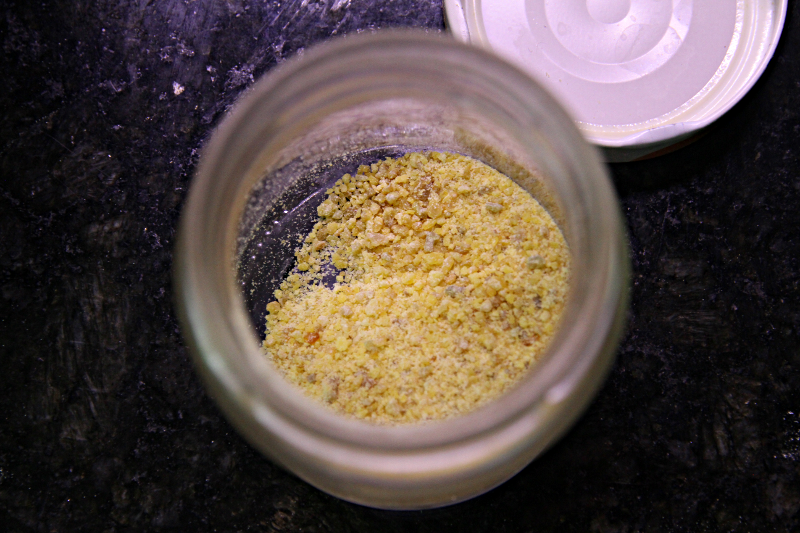 Thoroughly mix all ingredients and put about 2/3rds of a cup into a 1 cup capacity jar. Top off the jar with sugar. Obviously you can adjust the batch size and jar sizes accordingly. 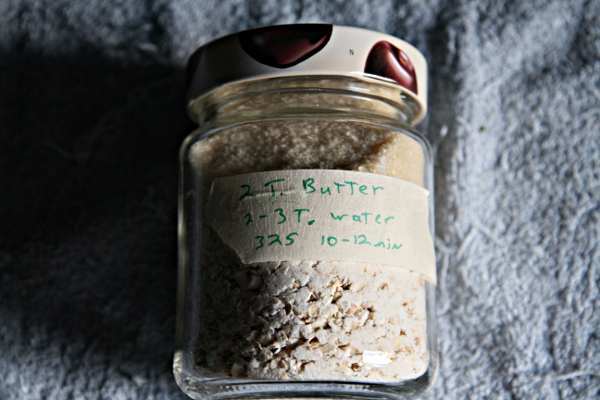 Based on the 1 cup jar, when ready to make the cookies you add 2 tablespoons of butter and 2-3 tablespoons of water. Mix and press into cookie shapes. Yields about 6 large or a dozen small. Cook them in a 325 oven for about 10-12 minutes. My batch made 10 jars plus enough left over in the bowl for one immediate batch. 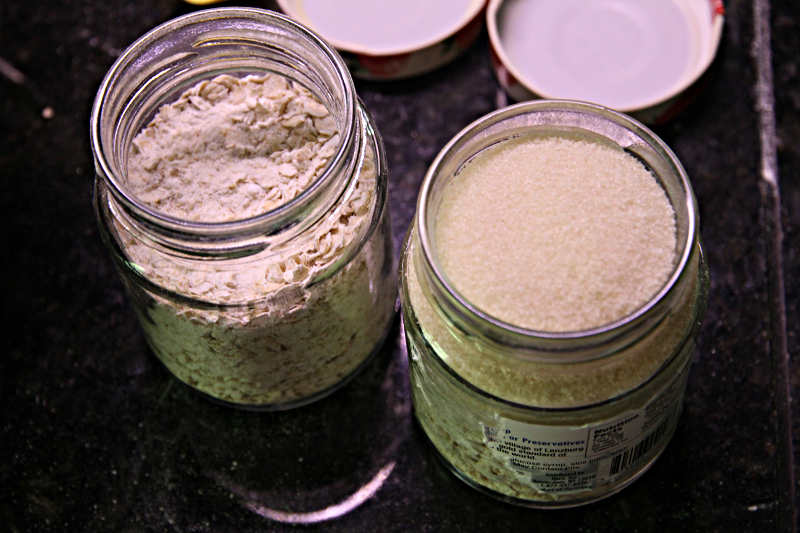 A simple sticker on the jar acts as a reminder for next time you want quick cookies. 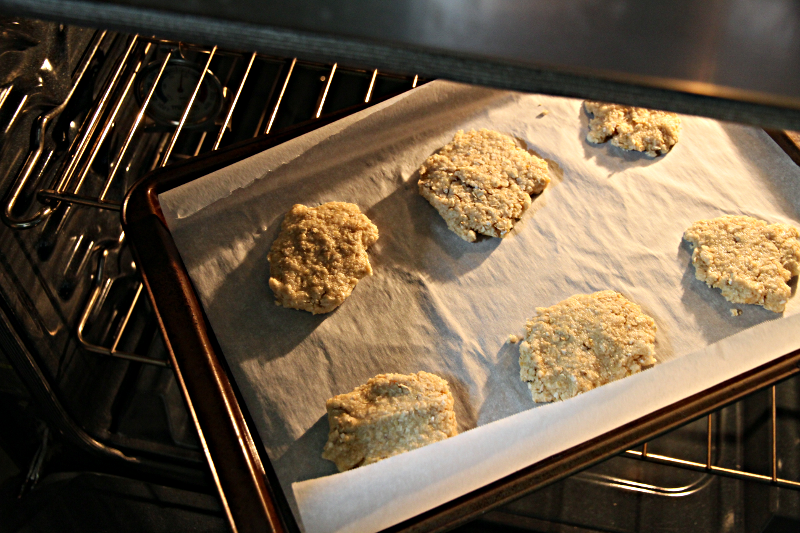 I find that by the time the oven is up to temperature you already have the cookies mixed in a bowl and formed on the sheet. My goal was a small quantity. Enough for a desert or two, but not a large batch that you get sick of after days and days of eating them. This base recipe could easily be modified at baking time. When adding the butter and water toss in a handful of chocolate chips or raisins or nuts or butterscotch chips or M&M pieces or whatever you like in your cookies. Using this same technique I’ve also put together a pancake mix in a jar and am working on some soups now. 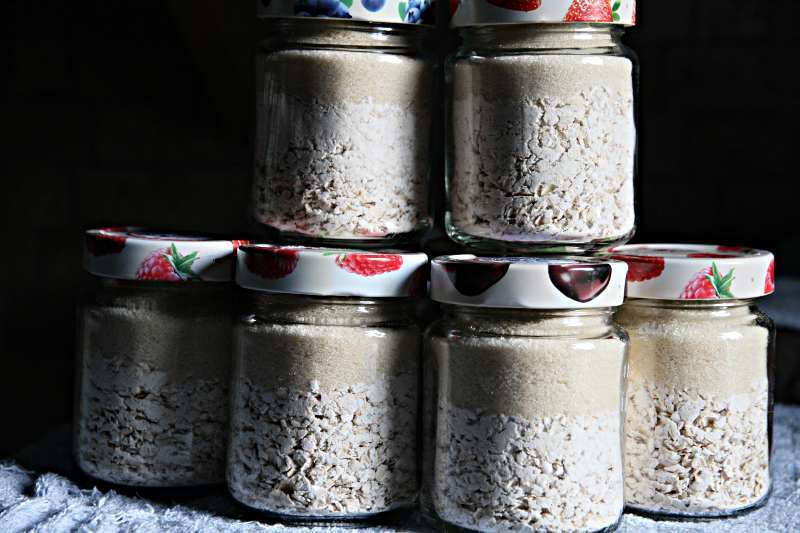 It’s frequently said to “Store what you eat and eat what you store.” I know this is something I’d be more than happy to eat and it stores well so it should work well for many preppers and homesteaders. I hope I did nothing wrong. I didn’t scramble in a skillet–I just whisked a lot and then put them on the fruit rollup trays to dehydrate. I’ve seen methods listed using both cooked and uncooked eggs. If you don’t have the fruit rollup trays then you pretty much have to go cooked since normal trays won’t hold liquid. I’m glad to know the egg powder worked. Haven’t had a need for powdered eggs yet, but have several pints. Try it! 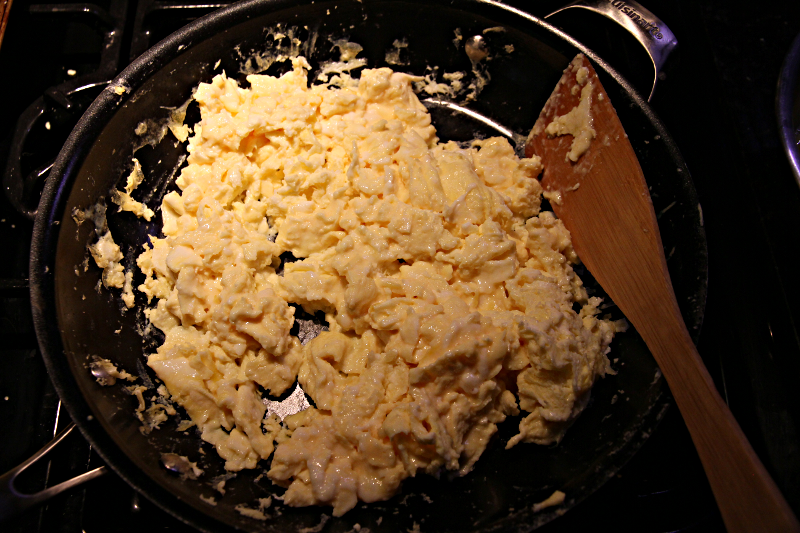 Even for something as simple as scrambled eggs or an omelette. Great post! You can substitute 1 T. Chia seed gel or Flax seed gel for eggs. Mix seeds 1 to 2 with water stir and let sit until a gel forms. The dry seeds would need to be in a separate little packet inside the jar, maybe fold a waxed paper packet around seeds. 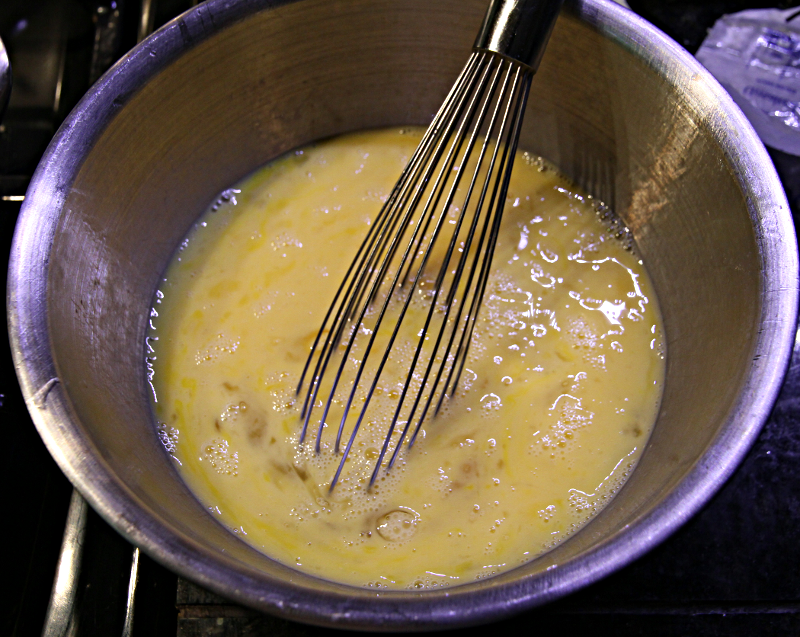 Make the gel before mixing or night before.